Stamping Sue Style: Create in blue ! 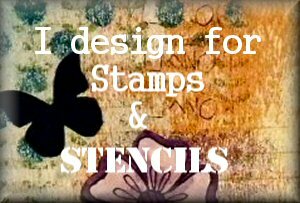 Today is my turn to share an inspirational post over at Stamps and Stencils. I rather enjoyed the process of working with shades of one colour so today's post is a continuation of that theme and also, I'm hoping, will inspire you to join in with the current challenge that has a few more days to go. 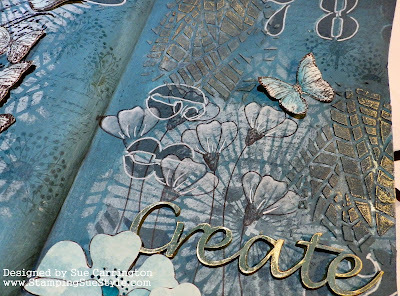 Here's a snapshot of the journal pages I've created but for all the details you'll need to hop over to the Stamps and Stencils blog. 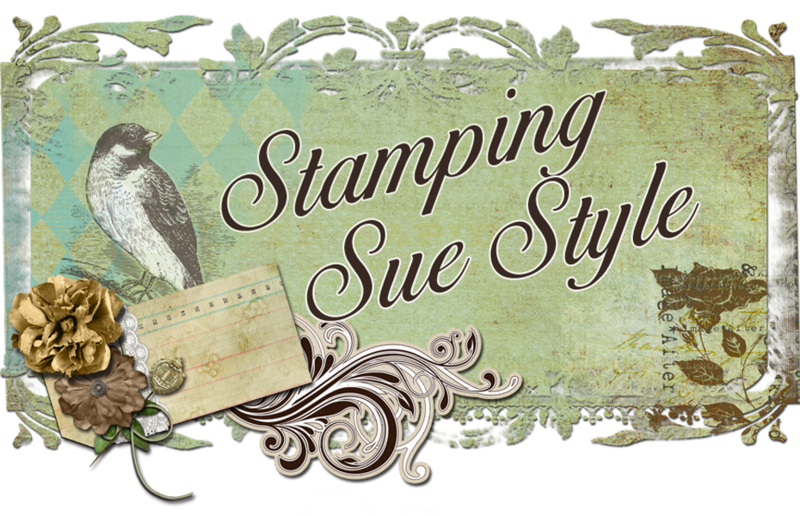 I thoroughly enjoyed this post, Sue! Wonderful spread! Looking gorgeous as always... off to see the rest. Loveee you pages Sue and how you put them together.